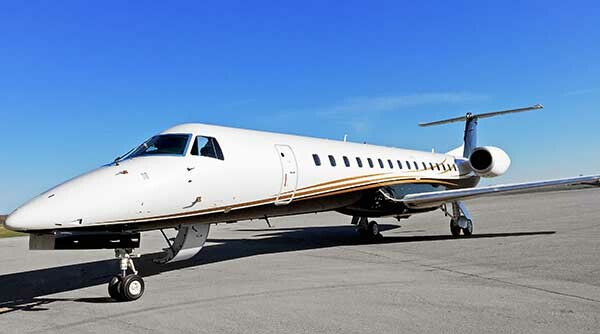 AeroVision International (Muskegon, Michigan) announces the sale of two fully refurbished ERJ-145 LR aircraft to one of North America’s preeminent professional auto racing teams, which is upgrading its fleet to turbofan-powered aircraft. The aircraft remain in a 50-seat configuration to accommodate the race day crews that travel to and from each race and are painted to a “corporate aircraft grade” standard with a newly designed livery. AeroVision was among the first to enter the ERJ airframe parts business with the 2012 acquisition of a fleet of low time / low cycle ERJ-145LR’s formerly operated by Mesa Air Group and has become the largest independent supplier of ERJ material / major subassemblies (landing gear / APU’s / AE3007 engines) in the world, supporting both regional airlines and corporate / shuttle operators. Additionally, AeroVision has managed the refurbishment and return to service of numerous ERJ-145LR’s to date and has several additional refurbishment projects to be announced shortly.